The Peoria Area Diversity in Employment Action Team (PADEAT), along with several community partners, will host the 6th Annual Construction and Manufacturing Career Forum on Saturday, March 30, 2019. Attendees will learn about various responsibilities across the trades, as well as available apprentice schools and future employment opportunities in the area. 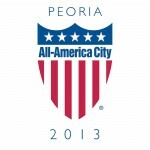 The Peoria Area Diversity in Employment Action Team is an ad-hoc committee on equal employment in the Building Trades. Their mission is to “facilitate education, communication, and training to enhance opportunity for union construction employment that represents the demographics of the Greater Peoria region as covered by the West Central Illinois Building and Construction Trades”. Pre-registration is preferred. Register at www.eprismsoft.com/reg Walk-in registration is also available.